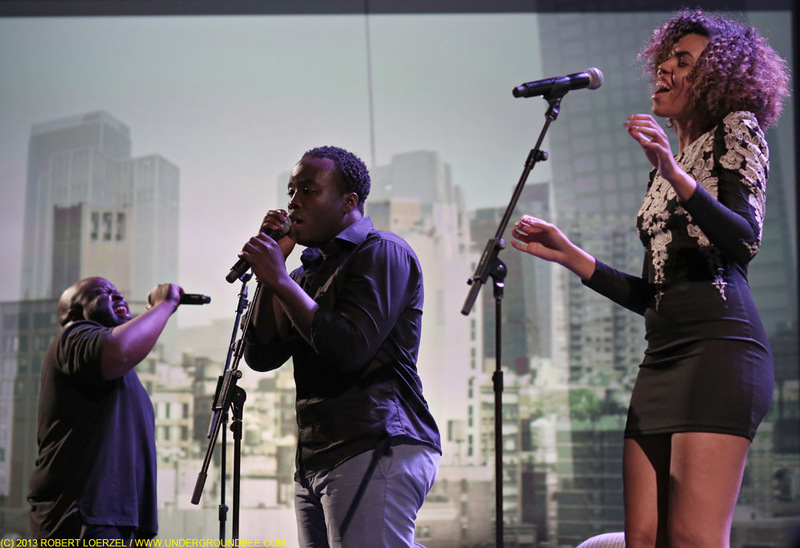 A train filled is crossing the country, bringing art installations and live music to stations in eight cities. 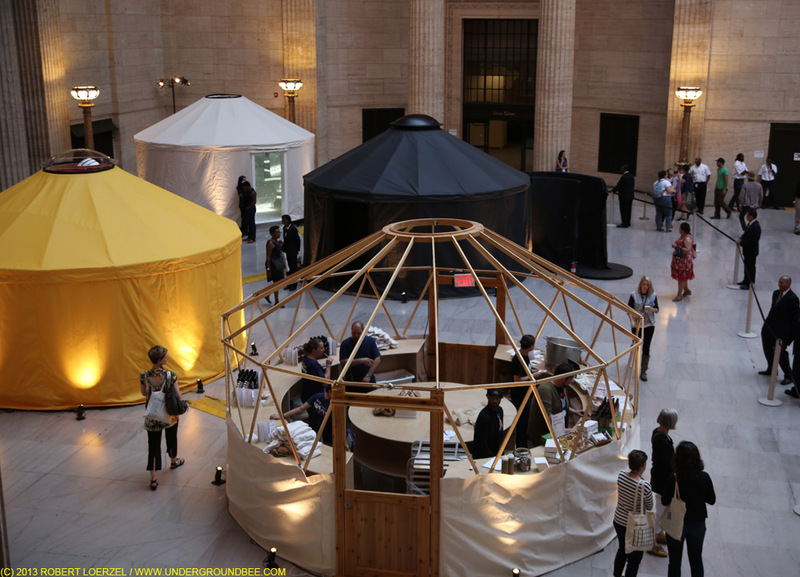 The project, organized by artist Doug Aitken, is called Station to Station, and it stopped Tuesday night (Sept. 10) at Chicago’s Union Station. This presented a rare opportunity to see a concert and other artistic happenings inside this building’s towering civic space. Art installations were arranged inside yurts. 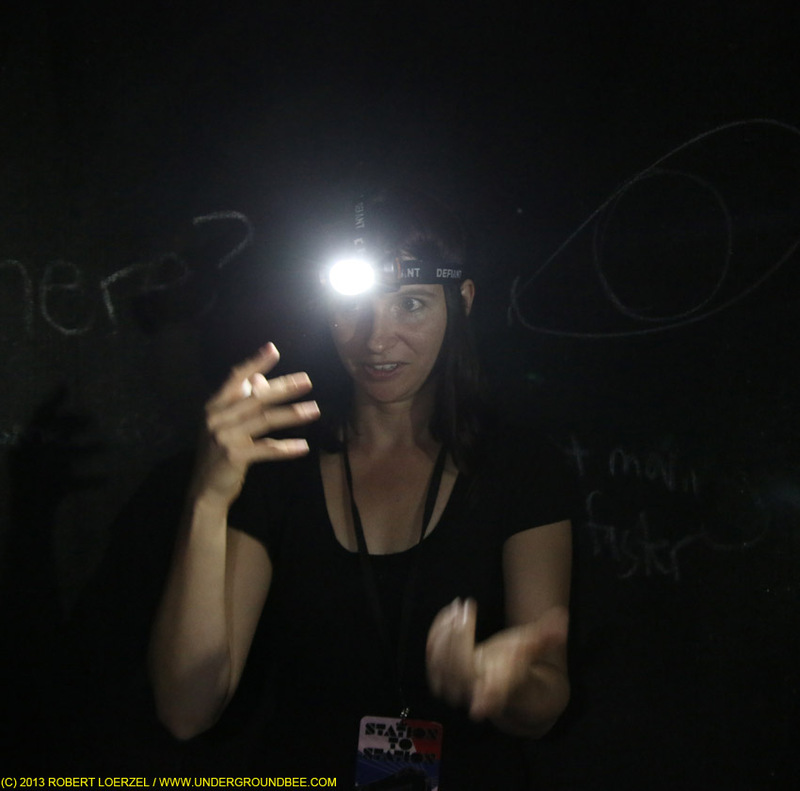 Short experimental films were projected. 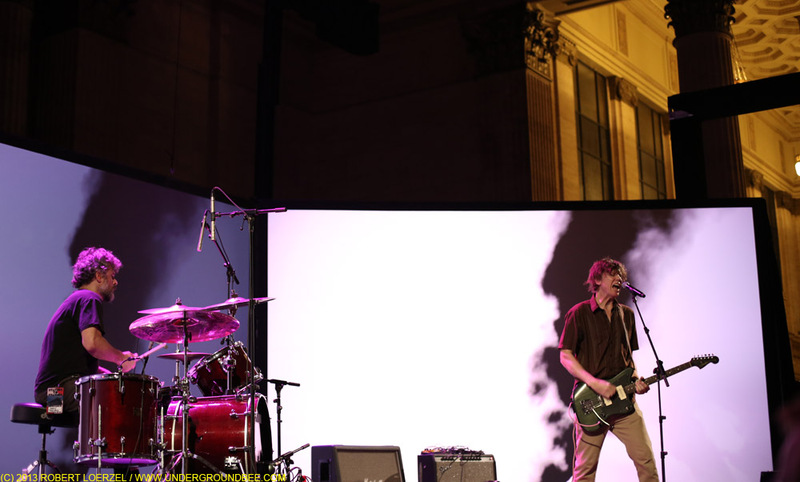 The rock band No Age set up drums and guitar amps on the train station floor and played a set of ambient drone music. The sound of drums and horns suddenly came from another direction — up in a balcony overlooking the main hall. That was the Rich South High School marching band, which proceeded down to the main floor. And then, just as the drummers and cheerleaders were exited, the redheaded sibling duo White Mystery began making a noisy garage-rock racket on the main stage. 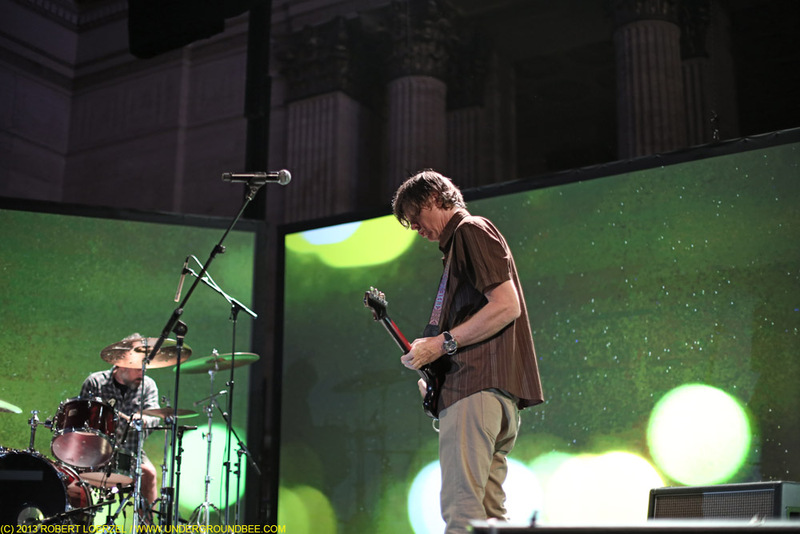 Three screens were arranged behind the stage, allowing for some striking visuals as the musical acts performed in front of sweeping landscapes and other imagery. 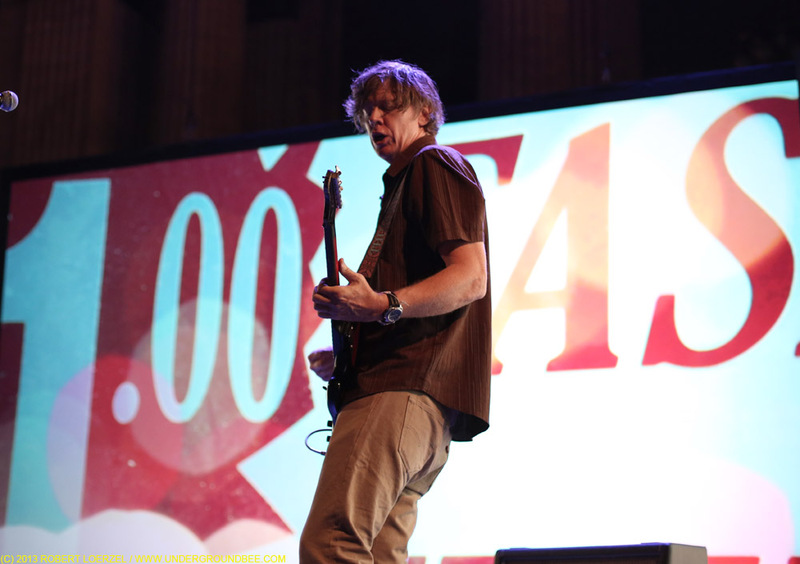 Accompanied by drummer John Moloney, Thurston Moore opened his set with an old Sonic Youth song, “Schizophrenia,” which sounded intriguingly skeletal with just the one guitar. The power went out on Moore’s guitar amps a couple of times during the set, but he managed to play some new and old material. 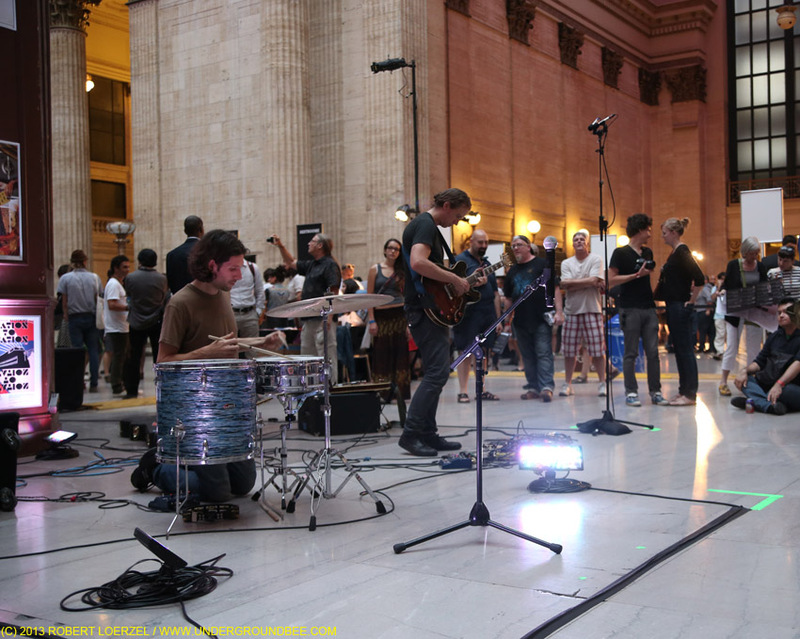 The Chicago multimedia artist Theaster Gates led his “experimental music ensemble,” the Black Monks of Mississippi, which his website describes as “performers who harmonize the Eastern ideals of melodic restraint with the spirit of gospel in the Black Church and soul of the Blues genre deeply rooted in the American musical tradition.” On this night in the train station, they made some beautiful sounds. 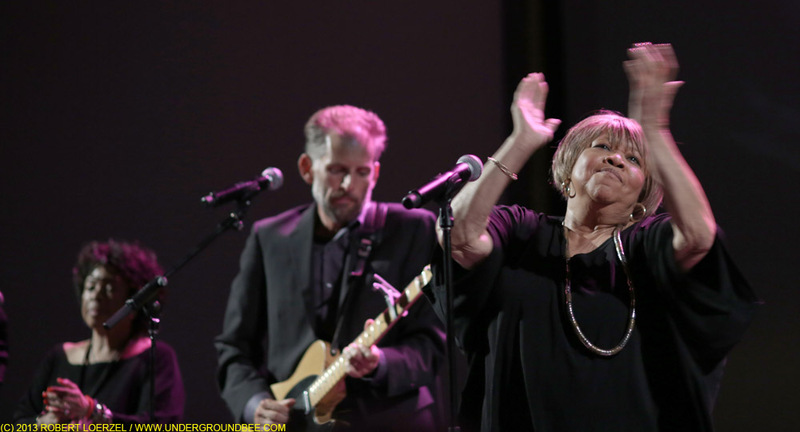 Mavis Staples was a late addition to the schedule for Chicago’s Station to Station event, and her performance was a wonderful way to cap off the night. The set was similar to the one she played four nights earlier at the Hideout Block Party, but she changed up a few songs. 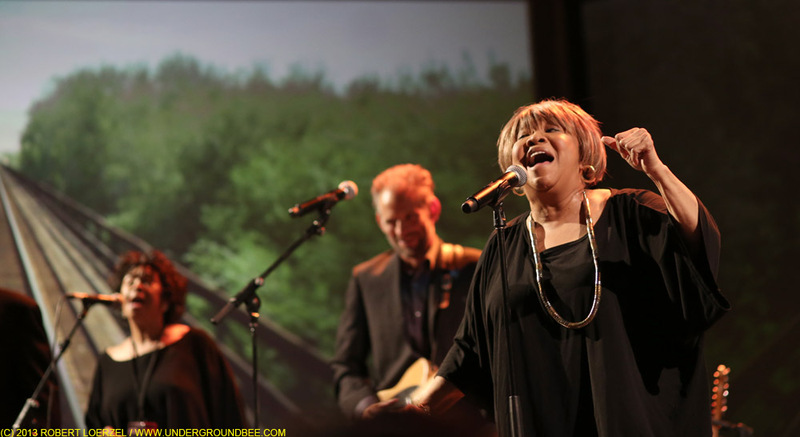 One nice addition was her lovely version of the Low song “Holy Ghost.” And she extended “Freedom Highway,” letting the band vamp at the end of the classic civil rights song written by her father, Pops Staples. 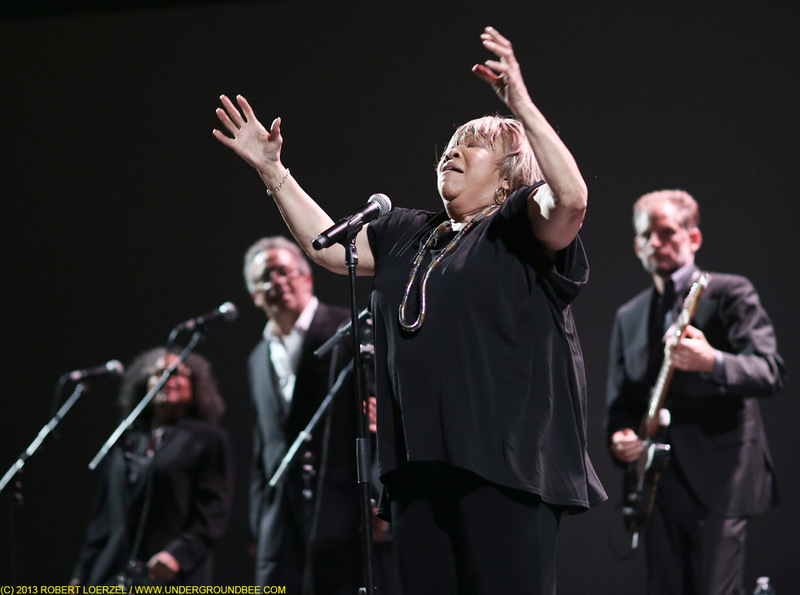 Recalling Martin Luther King and his words, Mavis Staples seemed almost overcome with emotion for a moment as she declared that she is still here.